I've decided that Easter is one of my favorite holidays, along with the 4th of July, but for vastly different reasons. Finally, a time when people act excited about what God's done for us, and we can sing some upbeat, celebration, Jesus-beat-death worship songs (since those slow, contemplative songs get so much time the rest of the year!). 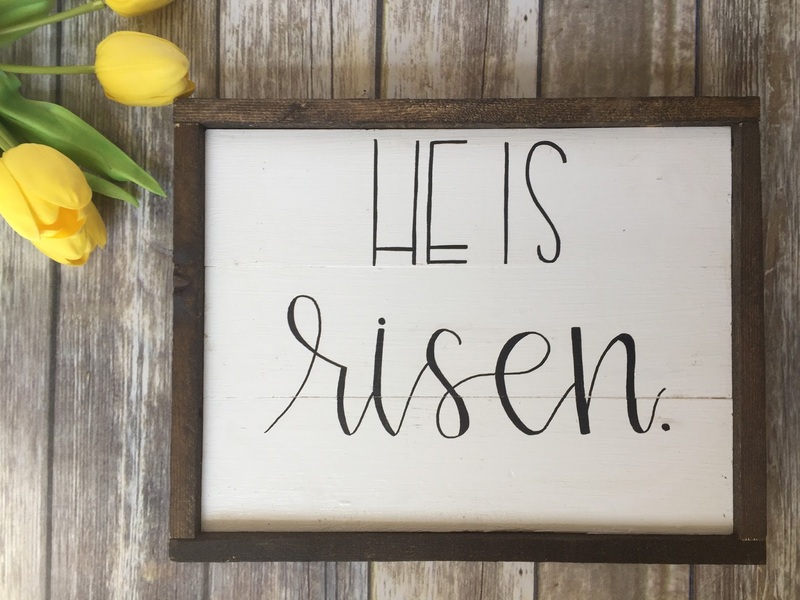 Easter is when we take time to focus on what Jesus did for us on the cross, which is a total game-changer since it's because he died and ROSE that we can approach God, our sin atoned for. 2. Put on songs like Happy Day, This is Amazing Grace, and Forever. 3. Imagine hearing for the first time about a king that ROSE FROM THE DEAD! I'm trying to hold on to that level of excitement about it all, instead of becoming complacent since I've heard about it before. 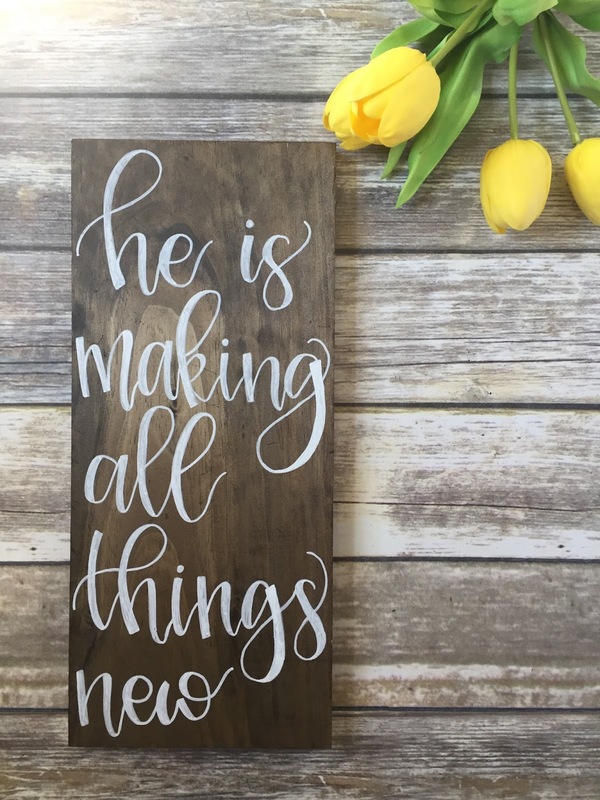 You can find these signs on my Etsy shop, Wild Cedar Co. What are you doing to refocus on the truth of Easter?